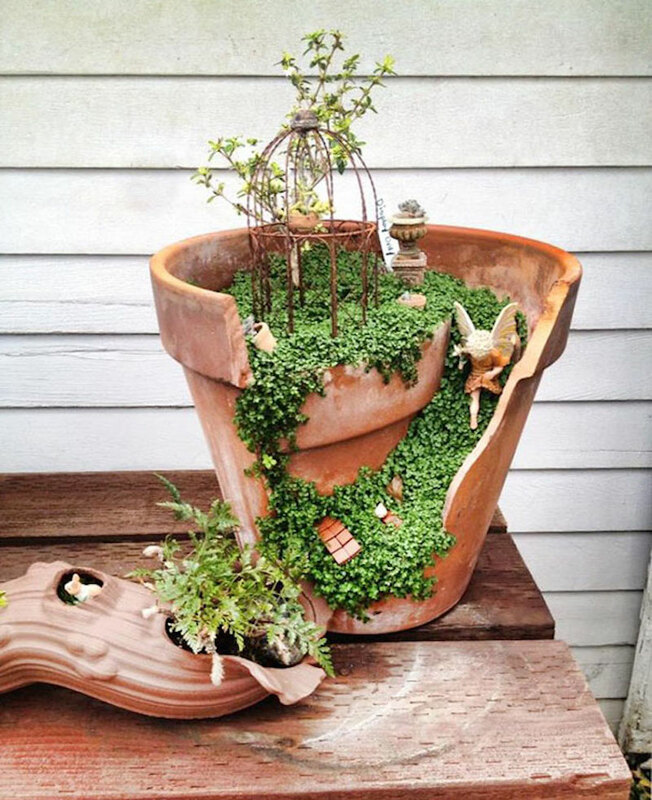 It sounds weird that I suggest you break your flower pots, but you will be amazed after I show the brilliant idea of decorating the broken flower pots. And there are some of you have no idea about how to deal with the decorative flower pots which have been already broken, now it’s time to repurpose them. 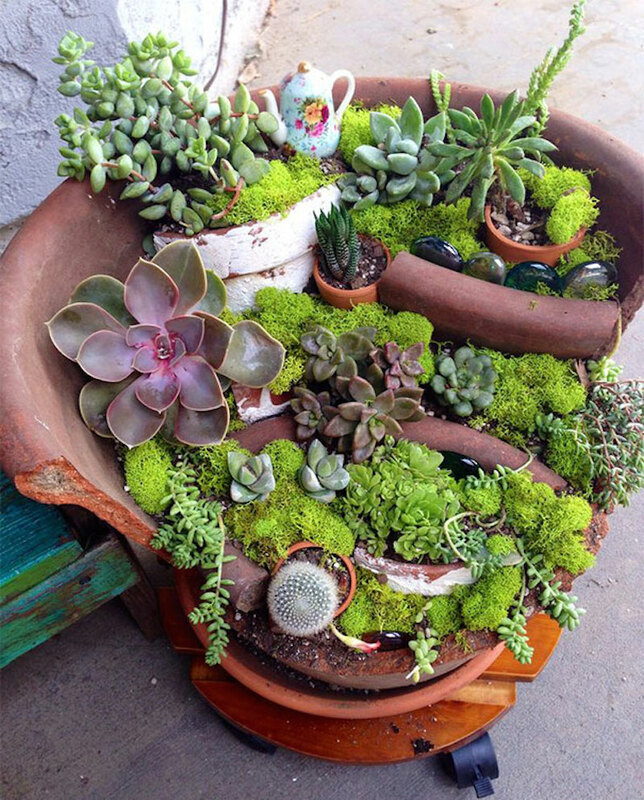 If you have the experience of making the terrarium on your own, it appears to be easy for you to create the fairy garden with your broken flower pots. Thanks to the garden DIY geniuses, now you are able to take advantage of those broken flower pots. These wonderful masterpieces are inspired by the film, Castle in the Sky, which is produced in 1986. This Japanese animated adventure film is written and directed by Hayao Miyazaki, and this film is also the first one that was produced by Studio Ghibli. 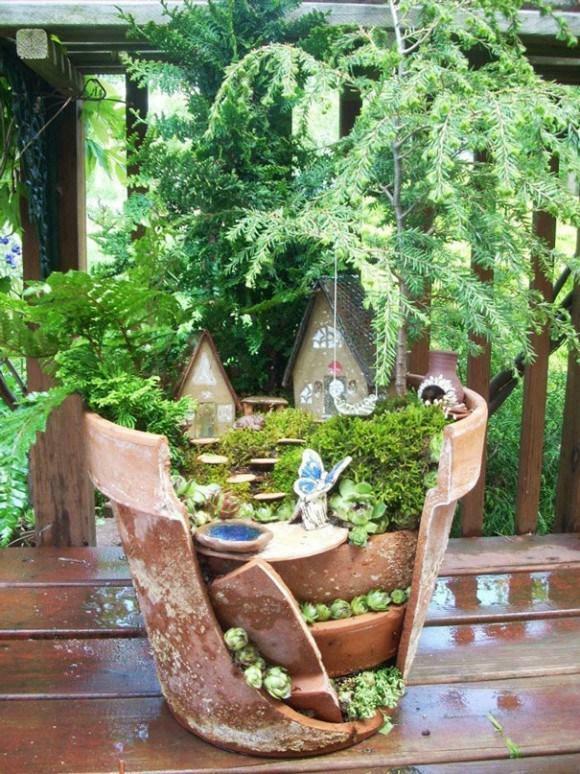 Take a look at these fairy gardens, they are fill with greens and miniature ornaments that make the flower pots much more adorable than it used to be. 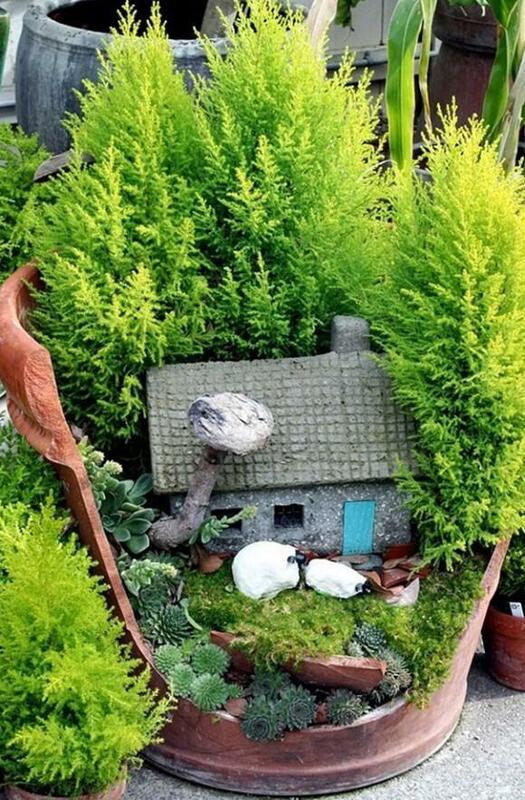 There is a miniature house ornament in the fairy garden, which is surrounded by lots of greens. 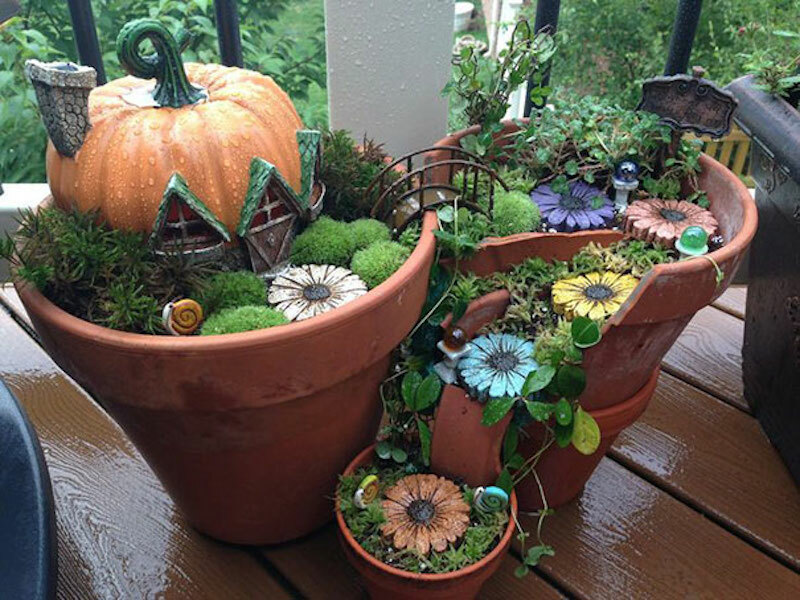 This mini fairy garden is made from three flower pots, and this one could be the most eye-catching Halloween home decor ever. There is a pumpkin bungalow on the top of the mini garden, and these three flower pots are connected by a miniature bridge and broken flower pot pieces. What you need most to build up different kinds of incredible mini gardens is your imagination, and you should be extremely careful with the sharp edges of the broken pieces in case it might hurt you. Now you have to get your gardening tools ready and make the unique fairy garden on your own.